Dad was cremated last Tuesday, August 16, 2016. The process began shortly before I made the first post here, and ended just before sundown that day. Since we don’t have a traditional memorial planned, the four folks who were closest to Dad these past six months (Adam, Donna, Julie and my husband Robert) came together to celebrate his memory. We ate cheeseburgers, told Yarbs stories and laughed till dusk. It was a beautiful night. When the sun set, we snuck off under cover of darkness to trespass down to the banks of the beautiful Harpeth River. The Harpeth flows into the Cumberland, then the Ohio, and finally the Mississippi where its waters reach the sea. Viking funereal dreams notwithstanding, Dad’s constitution leaned a lot more Buddhist than Viking, so I thought it fitting to float lanterns lighting the way as his spirit returned to the Great Ocean. Yarbs was perpetually in a hurry to GET THIS SHOW ON THE ROAD, and never ever EVER needed to ask for directions – so he was probably already way ahead of us and lolling around somewhere in the Caribbean….But it made us feel better to at least pretend we were helping. 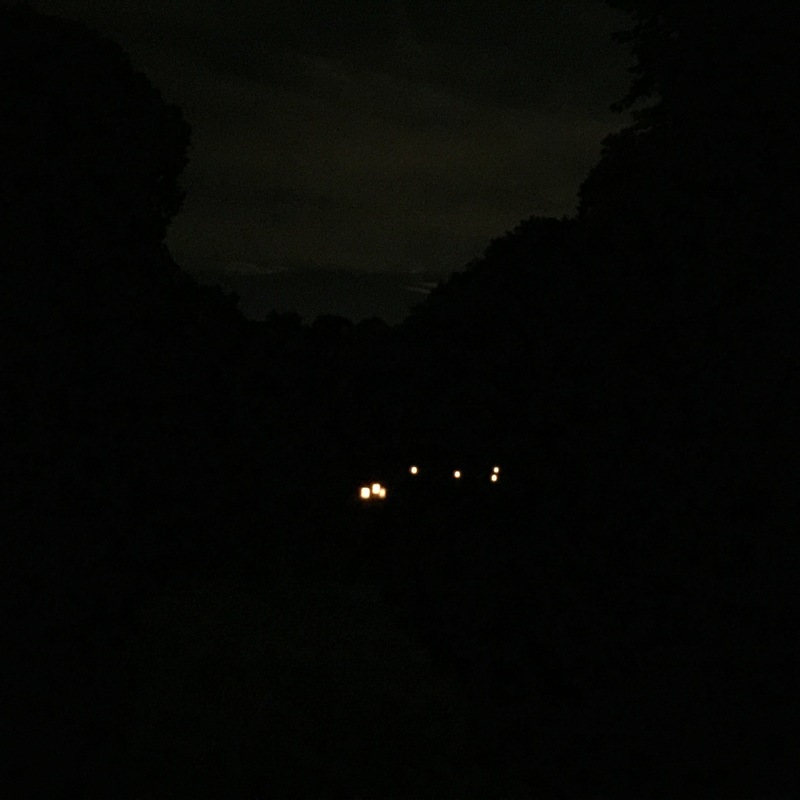 I’ve attached a short video clip of the lanterns as they floated away, a picture of them just before they started to round the first bend, and a song I wrote and sang for Dad as they disappeared into the night. Though we were few in number, we felt the love of all who were there with us in spirit. Since Dad died last Thursday, I’ve been so touched by the outpouring of love from his friends and fans all over the world on Facebook and various message boards and news sites. Since those who loved him best are separated by such vast geography, I thought it fitting to come together and remember him through the one medium that connects us all. Glenn’s body is being cremated later this afternoon, at 4pm CST by Chuck and Heide Crawford who have also posted a permanent obituary for him here. Dad always wanted a Viking Funeral after seeing the movie Rocket Gibraltar in 1988…so for the past twenty-six years we’ve had a running joke about how the heck I was supposed to single-handedly drag his carcass into a dingy, trailer it to the ocean, launch it and then set it aflame with my olympic-caliber archery skills. He got a kick out of teasing me about it, and I always threatened to roll him onto a pool float in the backyard and torch it up instead. Well, the sad day has arrived…and unfortunately I can’t manage his epic sendoff without committing felonies in at least three states. Since we’d like to keep using the pool, I have hatched another plan…As Dad’s cremation concludes later tonight at about 8pm CST, I’m planning to have a private Toro Nagashi remembrance on the Narrows of the Harpeth river with the folks who were here with me when Dad caught the spectacular Swift-Tuttle comet express out into the Universe just before 9:30pm on August 11.
p.s. I’ll post more about the disposition of his cremains, as we figure that part out. In the meantime, everyone is invited to post any memories and stories here. If you would like to be a contributor to this site, just email me, and I’ll add you as an author so you can post whatever you’d like to share. It’s Beautiful. It’s Wonderful…I’m So Happy.